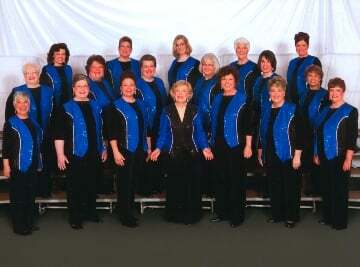 SALEM — The Racine Sweet Adeline Chorus under the direction of Jarmela Speta will present an “All I Want for Christmas” concert at 3 p.m. Sunday, Dec. 8, at Wilmot High School, 11112 308th Ave. Formerly known as OPUS 2000, the Racine Sweet Adeline Chorus will present “The Secret of Christmas” and “The Man with the Bag.” They have been performing in Racine since 1949. The three choruses will come together to sing “Let There Be Peace on Earth. The concert features Christmas tunes in four-part harmony, a cappella style. A children’s sing along will be held and Santa Claus will be on stage to usher in the holiday season. There will be a bake sale and raffles. Doors open at 2:30 p.m. Tickets for adults cost $12 in advance and $15 at the door. Tickets for children ages 5 to 10 cost $6. There is no charge for ages 4 and younger. Call Kristine Hincz at (262) 553-9106 for advance tickets.